Fresh off his middleweight victory over Gennady "GGG" Golovkin, WBC, WBA Middleweight World Champion Canelo Alvarez (50-1-2, 34 KOs) steps up to 168 lbs. to face Rocky Fielding(27-1, 15 KOs) on Saturday, December 15. Broadcast live from the historic Madison Square Garden in New York City; boxing fans can catch all the action in their local cinemas as Canelo challenges Rocky for his WBA Super Middleweight World Title in what is certain to be a thrilling 12-round main event. Tickets for "Canelo vs. Rocky" can be purchased online at www.FathomEvents.com or at participating theater box offices. The live broadcast of "Canelo vs. Rocky," presented by Golden Boy Promotions and Fathom Events, is set for Saturday, December 15 at 9 p.m. ET/ 8 p.m. CT/ 7 p.m. MT/ 6 p.m. PT/ 5 p.m. AK/ 4 p.m. HI. Fans throughout the U.S. will be able to enjoy the event in more than 500 select movie theaters through Fathom's Digital Broadcast Network (DBN). A complete list of theater locations is available on the Fathom Events website (theaters and participants are subject to change). A 31-year-old native of Liverpool, England, Fielding will be making his U.S. debut as he defends his title against one of the biggest names in boxing. Fielding has only suffered one loss in his career as he worked his way up the division through some of the toughest fighters in the U.K. Fielding's last fight was in July, a victory over Germany's Tyron Zeuge to capture the WBA Super Middleweight World Title. 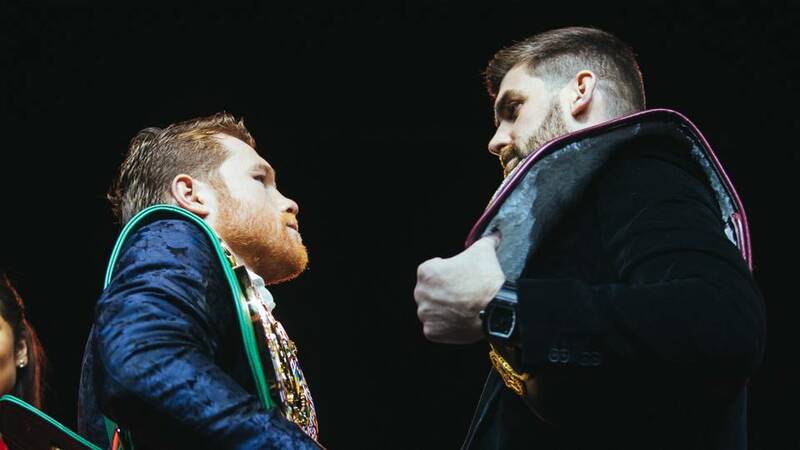 "This is great way to watch Canelo make history as he steps up in weight to win a world title in a third division," said Oscar De La Hoya, Chairman, and CEO of Golden Boy Promotions. "I'm pleased that fans will be able to watch this event at local cinemas across the nation." "With each of his fights broadcast in cinemas, Canelo continues to enthrall boxing fans coast to coast," said Ray Nutt, Fathom Events CEO. "We're pleased to partner once again with Golden Boy, and for the first time with Matchroom and DAZN, to bring this highly-anticipated bout to fans nationwide."